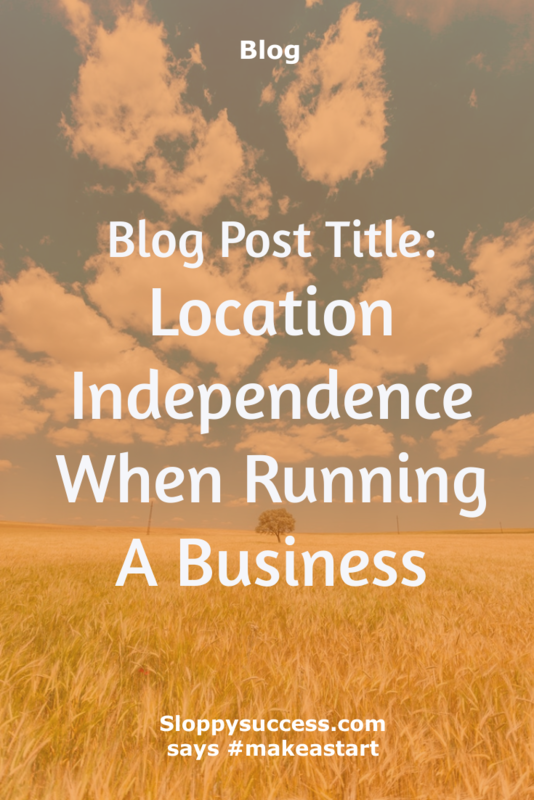 One of the objectives I want to accomplish is location independence when it comes to earning a living. To me this means being able to work from anywhere with or without constant access to wifi. This was tested when I went away for the weekend to a place that only had wifi access in one location. The property was over 400 acres and the restaurant was the only place with a signal. My trip coincided with me having to write a blog post, which I usually did in front of a computer. As I was not going to take my computer or any writing paper with me, I was going to rely on using the offline version of Google Docs to write. The only issue I had to deal with was my phone running out of power, as I was not going to take a charger with me either. I got the idea of using my phone to write from E.L. James who said she used her Blackberry while on the tube in London to write her novel Fifty Shades Of Grey. If she could do this and write a bestseller, I can write a blog post and even run my business from my phone. It is a smartphone after all. As I was dipping my toe into being location independent, I toyed with the idea of buying a portable keyboard to make typing faster. I decided against doing this as it would mean more things to carry, worry about losing and damage. It was a slow process initially as I had to get used to typing longer sentences with my phone’s keyboard. Once I got the hang of it, it was plain sailing. Guess what? I did it! I wrote a blog post! 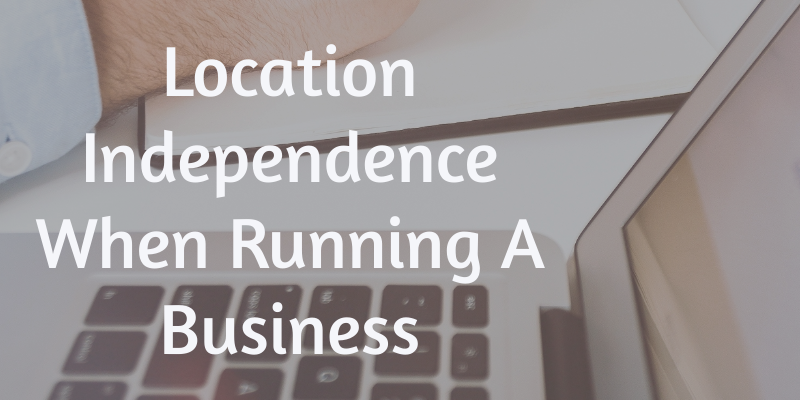 This was the start of the confirmation I needed that I can have location independence. Something else I did to test my ability to work from anywhere was to set up accessing the internet using my home broadband/internet allowance when not at home. Caveat is, I need to be no more than 50 metres from a hotspot to use it. Thankfully, I had a hairdresser’s appointment coming up and the salon was within 50 metres of a hotspot. So, as I had my hair done, I did some more writing, answered emails, posted scheduled social media posts, all from my smartphone. Making my time on the chair productive. The third test I did in my desire to be location independent, required the use of a laptop as I was going to be out of the house all day. This time I will go with a fully charged laptop as I had more to do than writing a blog post. I will look for a hotspot that allows me to use my home data allowance, a fully charged phone to make calls and tether off as a backup if there is no hotspot allowing me to use my home internet data. I prefer to use my own data rather than using free public wifi that is offered in places as I find there are limitations on what you can do when accessing free public wifi. This test turned out to be successful. I was able to work while I was out of the house with no issues. I ended up tethering using my phone, as I could not find a hotspot that allowed me to use my home internet data allowance. The only drawback was I had to cut my working day short as I started to run low on power, so next time I’ll take my charger with me. Making sure you can access all apps and systems for all your devices really helps if you want to be location independent. Not all sites have been optimised for mobile phones, which is why having the apps installed does make working from smartphones easier. To keep devices charged, take chargers with you or a portable battery pack. 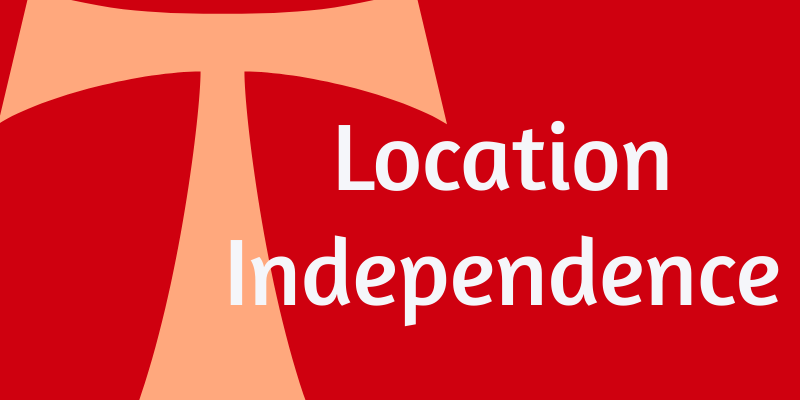 Location independence is the ideal. With advances in technology, there should be no reason why this can’t be accomplished.